As a prestigious coach operator and a conscious detailed transportational need fulfiller we have been organizing and providing coaches to best fit our clients who look forward in moving their clients/employees to meetings/events. We have been offering competitive service contracts and alternative standby coach hires for companies that require regular and occasional transportation in London, UK, Ireland, Scotland and throughout other European countries. Our drivers are smartly attired and are exceptionally experienced having only the motive to make the client feel safe and enjoy the ride. 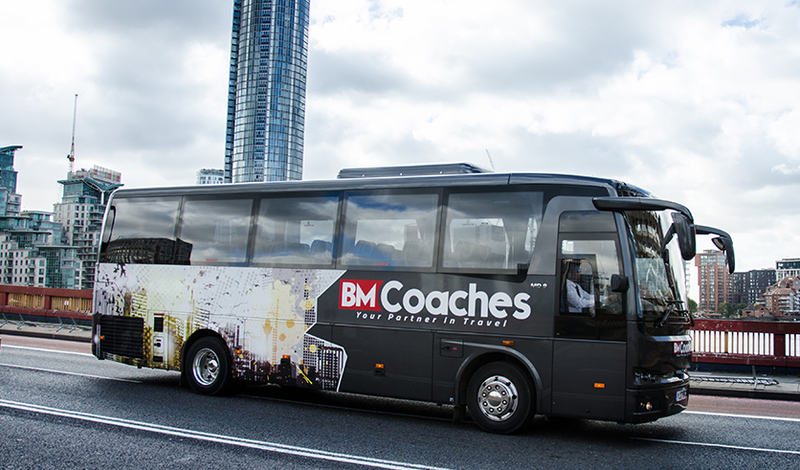 BM Coaches has successfully been the one stop solution for many years in the coach industry whilst giving its range of variety in luxury coach fleets along with the latest up to date on board facilities for affordable prices. We have further known how to take away the hassle of hiring a coach when it comes to company outings, training sessions, promotional events, conferences and have in depth experience in handling small to large groups. Thereby our corporate coach hire services has excelled with high recommendations over the years by also being the perfect environment for travelers to enjoy the trip whilst having meetings on the move. Why choose corporate coach hire? Guaranteeing punctuality and a high leveled service we have been united as a group in chasing our dreams to be the No 1 coach operator. Give us the opportunity to make your impression a classy one and ultimately feel inspired!